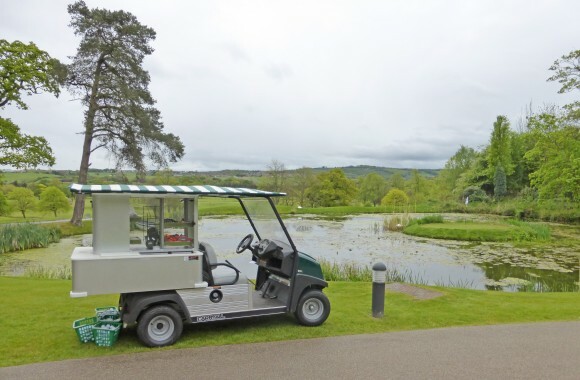 The Club Car Cafe Express catering buggy is the ideal refresher vehicle. What is better than an ice cold drink on a warm summers day, maybe a hot sandwich on a Saturday morning? 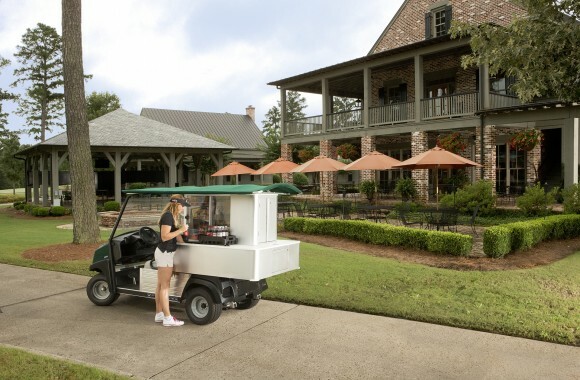 We will leave that for you to decide, but one thing is sure the Club Car Cafe Express can deliver both to your customers. 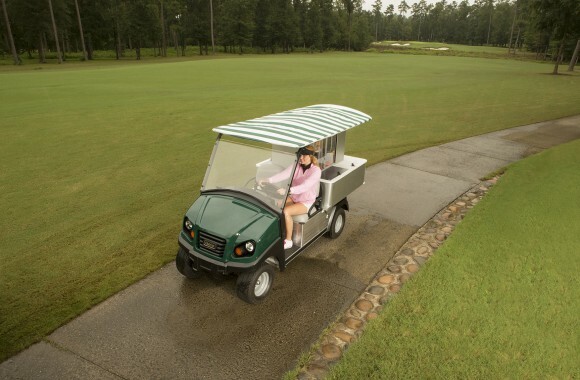 Based on the Club Car Carryall 500 Utility Vehicle, the Cafe Express comes as standard with Club Cars new Subaru 404cc engine. 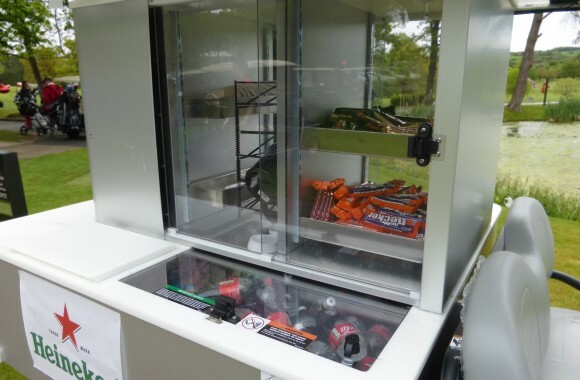 Perfect for merchandising at a range of events and functions, the Cafe Express food and drink buggy has space to store hot or cold food, along with canned / bottled drinks. 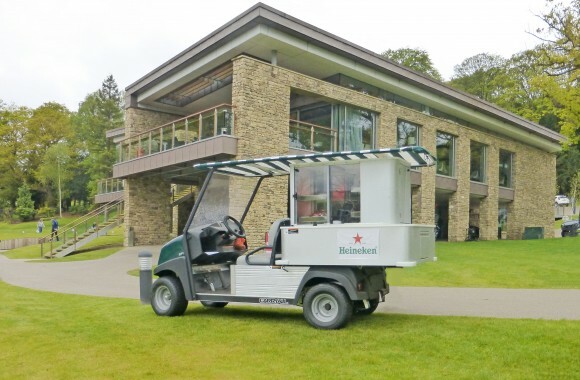 Ideal for use at public events, around pedestrianized facilities or at your local golf course.